This section of our technical library presents information and documentation relating to custom IVR software and products, specifically Professional Voice Overs. Business phone systems and toll free answering systems (generally 800 numbers and their equivalent) are very popular for service and sales organizations, allowing customers and prospects to call your organization anywhere in the country. Who Is the Voice of Your Company? Voiceovers and Voiceover Talent - DSC provides professionally produced voiceoversIVRs, radio and television ads, phone messages, marketing messages, and more! 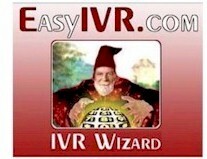 Visit our site and listen to sample voice over talent.